OCCSB involves top scientists from across many disciplines to develop better methods of detecting and treating cancers. A systems biology approach means a comprehensive look at all spatial scales, from the tiniest (molecular level) through the whole person, over time. Learn more about the OCSSB. The Measuring, Modeling, and Controlling Heterogeneity (M2CH) Center for Cancer System Biology, a U54 Reseach Center of the NCI Cancer Systems Biology Consortium. Omic and Multidimensional Spatial Atlas of Metastatic Breast and Prostate Cancers, or OMS Atlas, an NCI Human Tumor Atlas Network (HTAN) Research Center. The Pacific Northwest Center for Cryo-EM (PNCC), a National CryoEM Center. The Microenvironment Perturbagen (MEP) NIH Library of Integrated Network-based cellular signature Center, known as LINCS. Learn more about OCSSB research. Circulating Tumor DNA Dynamics using Patient-Customized Assays are Associated with Outcome in Neoadjuvantly-Treated Breast Cancer. doi: 10.1101/mcs.a003772. Robust Cell Detection and Segmentation for Image Cytometry Reveal Th17 Cell Heterogeneity. doi: 10.1002/cyto.a.23726. 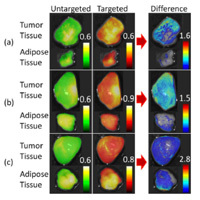 Modeling Tumor Phenotypes In Vitro with Three-Dimensional Bioprinting. doi: 10.1016/j.celrep.2018.12.090. Implementing a comprehensive translational oncology platform: from molecular testing to actionability. doi: 10.1186/s12967-018-1733-y.